Artist Gathie Falk’s career as a visual and performing artist and sculptor has spanned 37 years. Falk has completed commissions for the Lester Pearson Building (Ottawa), Canadian Embassy (Washington, D.C.) and Canada Place (Vancouver). Her works are in permanent collections in the National Gallery of Canada, the Art Gallery of Ontario, the Winnipeg Art Gallery, the MacKenzie Art Gallery in Regina and the Vancouver Art Gallery. A major retrospective titled Gathie Falk, organized and circulated by the Vancouver Art Gallery in partnership with the National Gallery of Canada, is currently touring Canada. 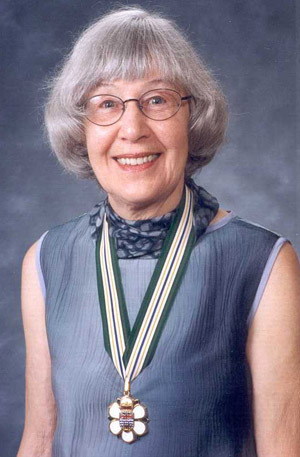 In 1997, Falk was named a member of the Order of Canada.